Aside from noise reduction, Sound Planning specialises in water safety and quality management to safeguard against Legionnaires’ disease. A fatal form of pneumonia caused by the legionella bacterium, this type of aerobic bacteria grow best in warm water – they are commonly found in hot tubs, cooling towers, large plumbing structures or in air-conditioning systems of large constructions. A total of 364 cases of Legionnaires’ disease were reported in 2008; 34 of which were incurable. For any kind of public building – a school or college, leisure centre, industrial building, warehouse, care home or office block, etc. – you must be aware of the risks associated with Legionnaires’ disease; and take the necessary actions. A Legionella risk assessment and water management programme is required under the current Health & Safety law. We assist employers and those who are responsible for public buildings to manage the risk of Legionnaires’ disease on their premises. We help implement the guidance given by the HSC Approved Code of Practice L8. We design and implement Legionella Control Schemes to ensure the long term safety of employees and the general public. We can help you to maintain the wholesome drinking water quality on your premises. We also comply with the current Health and Safety Water Management legislation which includes guidance on the Implementation of the Water Supply (Water Quality) Regulations 2000. We aim to provide these services principally to schools and colleges throughout the country. This tailor-made consultancy service can help to create and maintain a safe and clean environment for everyone. We provide a complete risk management service. Our main preference is to work in tandem with our customer resources, to promote active customer involvement and to help moderate costs. We predominantly cover London and the South East of England but Legionella risk assessments can be carried out throughout the United Kingdom. 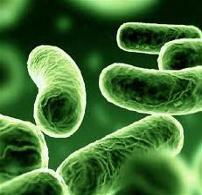 For Legionella Risk Assessment enquiries, please call 01252 711972 or email enquiries@soundplanning.co.uk.